That's all that's left until my due date!!! There is still so much to do as well. I am abandoning my husband next week so that some painting can be done without me, Jack and Squiggle being exposed to the fumes. We're having to do things slighly out of order.... The livingroom now takes priority over Jack's big boy room because a lot of the stuff that's in the middle bedroom needs re-homing. Books and so on that we don't want to part with. So Mark is building some storage for the livingroom, a combination of bought and home made stuff. And there is very little point in doing all that and fixing it to the walls if in the next 6 - 12 months it all comes back down again for redecorating. So. On Sat morning, once Jack is finished with the nursery room for the day, we're packing up stuff from the livingroom and putting it in there for safe keeping, and then me and Jack swan off to Nanas. Poor hubby is expected - over 4 to 5 days - to strip the walls and ceilings, re-cover and paint them. Construct the storage and fix to the walls... Mum's not working on Thu so I asked that she looks after Jack that day so I can come back home and help Mark to put stuff away in the new places, and go through some more of the stuff in that middle room to see if there is anything else we can get rid of. I'll also be doing a lot of tip runs in the car I think! Then I'll be back over to mums while he strips and re-decorates the middle room. Hopefully by the time a week (max) has passed I'll be able to bring the bunk beds over with me and the bulk of it will be done. It's a mammoth task! Mark has already drawn up plans and started building a base unit. The flat-pack bought stuff is arriving today. I have reduced the 17 boxes and 2 suitcases from the attic to 2 boxes of stuff to keep, and 3 boxes of college stuff I am going to have to deside what to do with... (it's a "I wont ever use it again" Vs "My blood, sweat and tears went into that!" thing). I have lost count of how many trips to the tip and charity collection points I have made in the last couple of weeks. The guys at the tip know me now and always have a nice word for Jack. Yesterday they helped me sort out 3 boxes of stuff just for a natter! 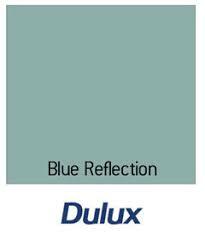 Here are the livingroom colours (chosen to compliment the suite). They look a bit cold on here, but they are warmer in reality. 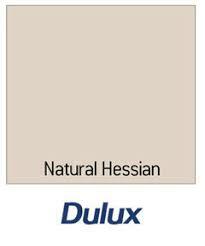 We're thinking chimney is blue, and one other wall, the rest in hessian. We can't decide which other wall to do blue though. The back wall would be nice because that's what you see when you come into the room, but the wall facing the chimney would be more balanced... that is the one we currenlty have matching the chimney. And these are the bought units (we already have some of these, they're cheap but pretty good for what they are). I've ordered 2 of each. 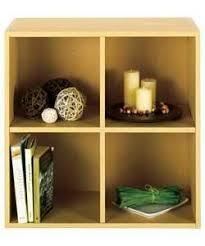 They are stackable and will fit into the alcoves either side of the chimney breast. They also match the laminate we have.